Seattle Better Watch Out... Santarchy's Coming to Town. Save the Date! On Saturday December 13th, the red menace descends on Seattle... details coming soon. See our Facebook Event Page for more info. 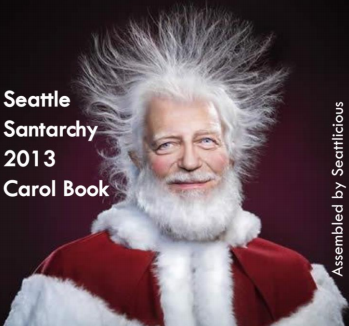 Santa has finished assembling the 2013 Seattle Santarchy Carol Book and its FANTASTIC. The files are designed to be printed on two sides of one sheet of paper and then sliced in half with a paper cutter. If you do not have a duplex printer (a printer that can print on both sides at once), then print the first page, flip the stack over, load it back into your printer's paper tray and then print the second page. You may need to experiment with a page or two to make sure you're re-feeding the paper in the right direction. After printing, cut on the dotted line. Then fold and nest the two pieces of paper into a booklet and put a staple in the middle of the fold. Voila! You have a neat and tidy Santarchy Carol book. Santarchy 2013 Map and Route Published! The final maps and route have been published! Santa should print some extra maps to bring along and share! Single sided, fold along the edge. 2 Sided maps need to be cut down the middle. 8. Share your photos and thoughts on the Facebook wall! Santa traditionally releases the full route last minute. 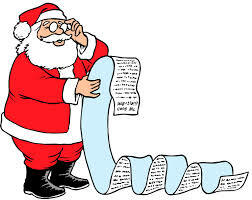 Keep checking back here as Santa leaks more info. Nothing is final until just before the event. And there will be a map. Print extra copies if you can. Just remember nobody is forcing you to follow this plan and side adventures are encouraged! 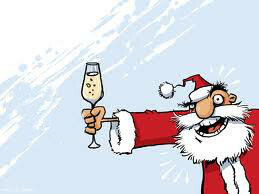 Stay tuned for lots of updates... Santa is getting ready for SANTARCHY 2013. The date is set! 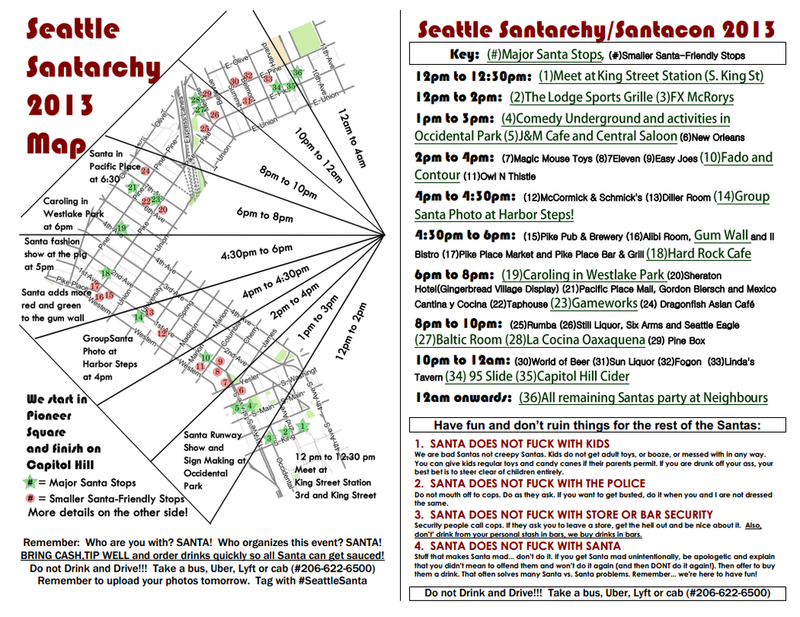 On December 21st Santa Rides on Seattle! Gimme a Beer. It's Christmas for fucks sake. 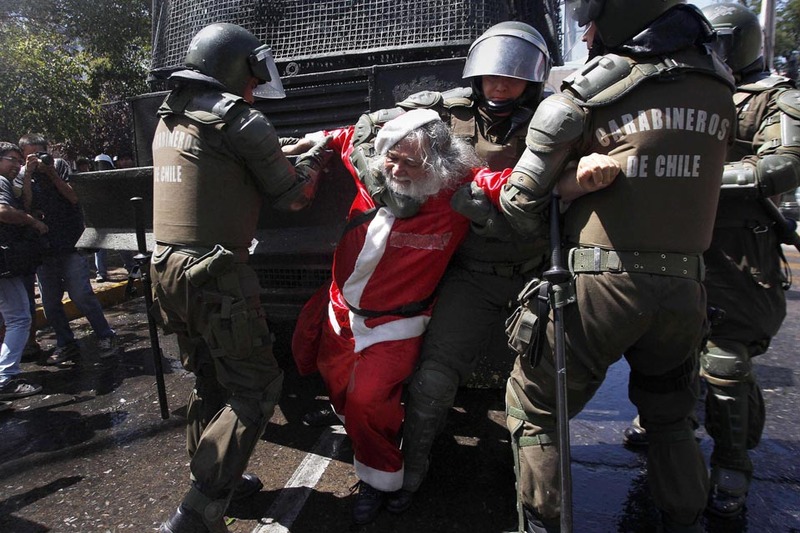 Santa Died For Your Sins! I Got Your Mistle Toe Right Here!